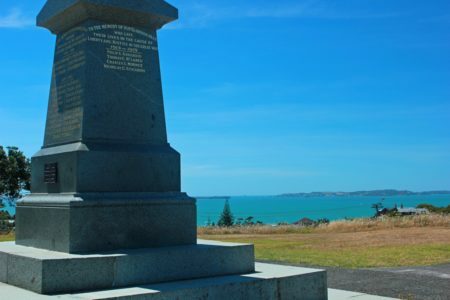 The Howick Community has been fighting for years to have Stockade Hill recognised for its history and also for the vital role it plays in the community, says Pakuranga MP Simeon Brown. Pakuranga MP Simeon Brown will investigate whether Howick residents might be able to put a Private Bill before Parliament to protect the “iconic and historic views” from Stockade Hill. “I have been approached by a large number of constituents in the Howick and Pakuranga communities requesting support to protect the iconic views from Stockade Hill and will be looking into whether Parliament could provide an avenue to protect these views,” he says. “The Howick Community has been fighting for years to have Stockade Hill recognised for its history and also for the vital role it plays in our community. This fight goes back to the 1990s when Crawford Reserve was bought by Manukau City Council to preserve the view. “After relentless advocacy by the local community, Auckland Council subsequently supported Plan Change 3 which reduced maximum allowable building heights looking towards the sea by a small amount. “These changes are too little, too late, and do not adequately protect the amenity that this hill provides to the community with the view shaft approved by Plan Change 3 only providing 137 degree views based from 1.5m above the ground, only at the very top of the hill. Whether it is Anzac day, Armistice Day, Midnight Madness or a host of other community events, Stockade Hill is a place where the community comes together,” he says. “It is a precious part of the Howick community which must be preserved. “I am also concerned about the fact that Housing New Zealand continues to get involved in this issue. It raises questions about their intention to buy land around Stockade Hill and develop multi-level state-housing in the area. We have enough State Houses in Howick. We don’t need more.